What does Lindsey Stirling bring to the story that you wouldn’t experience if you just read the book? Listening to her tell her own story with her own emotions and voice made the book feel more personal and genuine. Lindsey's memoir is both candid and wholesome. It is the story of how her faith, family, and upbringing are woven into her drive to keep learning, growing, and experimenting with her talents--even in the face of setbacks--and how these aspects of her life have informed her values and carried her through poignant personal struggles, including an eating disorder. It is an insightful and entertaining read (or listen, in my case), and it's chalk full of quirky humor. 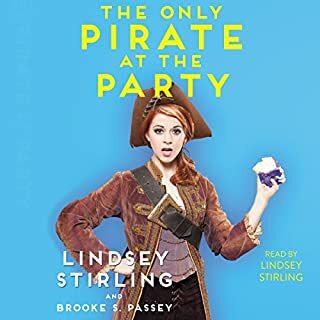 The audiobook is narrated by Lindsey herself, which is an additional treat. John and Brooke are on their own, hitchhiking from town to town as they hunt the last of the Withered through the Midwest - but the Withered are hunting them back, and the FBI is close behind. With each new town, each new truck stop, each new highway, they get closer to a vicious killer who defies every principle of profiling and prediction John knows how to use, and meanwhile Brooke's fractured psyche teeters on the edge of oblivion, overwhelmed by the hundreds of thousands of dead personalities sharing her mind. What did you love best about Over Your Dead Body? 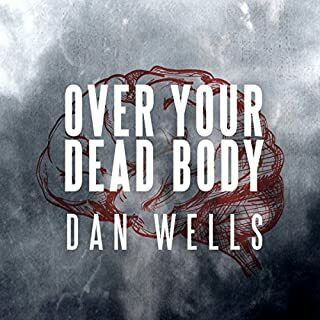 "Over Your Dead Body" brings John Cleaver and his pre-Marcy high school obsession Brooke closer than ever, developing these two broken characters and their relationship in surprising ways during their adventures to hunt down the Withered. The ending, of course, is a little heart wrenching. This is a horror book, after all. But it’s another fantastic addition to the "I Am Not A Serial Killer" universe. Kirby Heyborne has also been a perfect Narrator for this series, and his performance here does not disappoint! So Jekaran's uncle has warned him. But that doesn't stop him from leaping at the exhilarating chance to single-handedly rescue a beautiful woman from a gang of lecherous thieves. But the bored farm boy quickly finds that he is no match for the group of angry street thugs, and only escapes death by bonding a magical sword that grants him the strength and skill of a master swordsman. Unfortunately, a peasant wielding such magic is forbidden and punishable by death. What made the experience of listening to The Lure of Fools the most enjoyable? 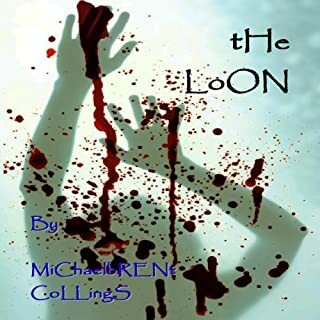 There is a lot going on in this story that fantasy readers will enjoy, from semi-sentient magical objects, to layered conflicts between the main group of characters and many other individuals, to action-pact chases and fight scenes. 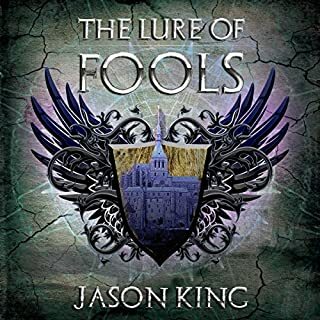 The internal bonds, communications, and compulsions that the characters experience when they interact with the magic in various talises is intriguing, and the fantastical details of King’s world are entertaining. What was one of the most memorable moments of The Lure of Fools? I loved the crystal golem chase scenes…you’ll have to listen for yourself to see why! For nine months of the year, the sands of the Sharani Desert are safe. The genesauri - giant, flying, serpentine monsters who hunt across the desert in enormous packs - lie dormant. The smallest of their kind is able to take down a single man with ease, and the largest is able to swallow entire clans. The people of the desert have always been able to predict the creatures' appearance, but this year the genesauri have stopped following the rules. 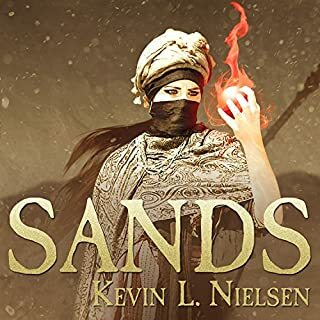 Would you listen to Sands again? Why? Yes--it was a fun story, brought to life by a great narrator. This is a fascinating book. It takes a look at everything from mankind’s epidemiological interactions with other animals throughout history, especially domesticated animals, and most especially dogs. To the symptoms and molecular mechanics of rabies. To the way the disease conceptually strikes at our primal fears, and its likely contribution to legends and literature since the dawn of civilization. Are you pondering books to read and movies to watch with zombies, vampires, or werewolves? 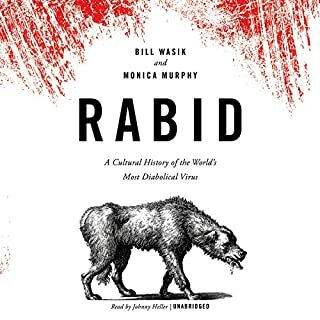 In large part, you can probably thank rabies for the rise of these legendary monsters by the way it turns its victims into slathering, hydrophobic, bite-happy conduits for its propagation. These and other aspects of its malignancy have contributed to shaping some of our deepest-seated cultural fears about disease and the broader unknown. Definitely! It is a fascinating topic. The lectures are also arranged in such a way that they build on each other and connect to each other in a way that is easy to understand. This is one of the most fascinating and wonderful things I've listened to on Audible. 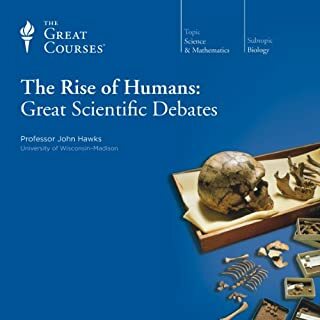 Still being fairly new to the field of paleoanthropology myself, this course really put the major discoveries and the active debates of the field into a big-picture perspective that was easy to understand and really exciting (having a biology and geology background myself). It also came out quite recently, so the science is pretty much up to date at this point in time. What about Professor John Hawks’s performance did you like? I liked his ability to infuse his enthusiasm for the field of paleoanthropology into his discussions. There were many profound takeaways. My favorite was the idea that culture and medical technology--human choice--is potentially the biggest evolutionary force on human populations today. In my view, that is a very powerful statement. I loved this course. This is a great listen for someone to wet their pallet and see if this is something they would like to focus on in their college studies and life career. It lays out a broad scope of work being done in this field, and it has made me thirsty for more!